Jessie Ware slinks on to the stage. She’s dressed smartly in a black shirt, wind softly rustling its cape, hair immaculately pulled back. She smoulders, purring her way through opening number Running, enveloped in the music. A couple of songs later she finally addresses the audience. “Bloody hell”, she quips with enthusiasm over the roaring reaction, “I don’t know what’s gonna come out as I’m so excited”. Later she confesses “I was more chilled on our wedding day than today”. 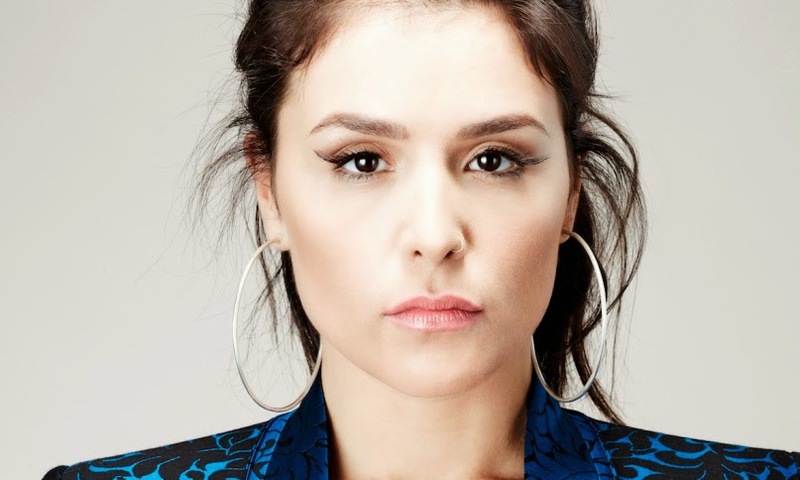 This is the contradiction of Jessie Ware and the reason she’s such a loveable popstar. On the one hand, here is a sultry performer whose soul infused electronic pop bristles with sexual energy. On the other, she’s the same old Jessie from the block who used to live down the road: humble, grounded, everybody’s best friend. As a popstar, she continues to grow in confidence. The monochrome backdrop proved that simplicity is best – the performance may not have offered any surprises in terms of visuals or setlist, but there were no extraneous factors to detract from the music. Tracks from her ultra-polished second album rubbed shoulders with her more experimental debut; the sombre Tough Love and bubbling Champagne Kisses show off her haunting higher register, whilst the likes of 110% and Sweet Talk still sound fresh years later. Half way through, the less known The Way We Are shuffled into lounge territory and No To Love – minus the male rap – became an extended jam, but the pace soon picked up with a string of emotional hits. It’s the big ballads that she excels at, made more potent by the attendance of her family. You & I (Forever) and Taking In Water are heart-wrenching enough, but with her husband and brother present Ware delivered an especially impassioned vocal. Say You Love Me provided a stirring finale, but Wildest Moments remains her most powerful and relatable song. She left everything on the stage, emotionally spent – and the audience were too. As a homecoming gig, this emotion was only heightened. Ware’s banter with the audience was often diminished to a muttered “thank you”, visibly overwhelmed by the reaction. Playing Brixton was a “dream come true” and she certainly rose to the occasion. Stood on stage soaking up the applause from her devoted fans, this local girl was every bit the superstar.